Walters: Has Newsom Become Governor Gaslight? A wildfire raging through drought-stricken timber and brush near California’s border with Oregon killed one person and destroyed multiple structures as it burns largely out of control, authorities said Friday. 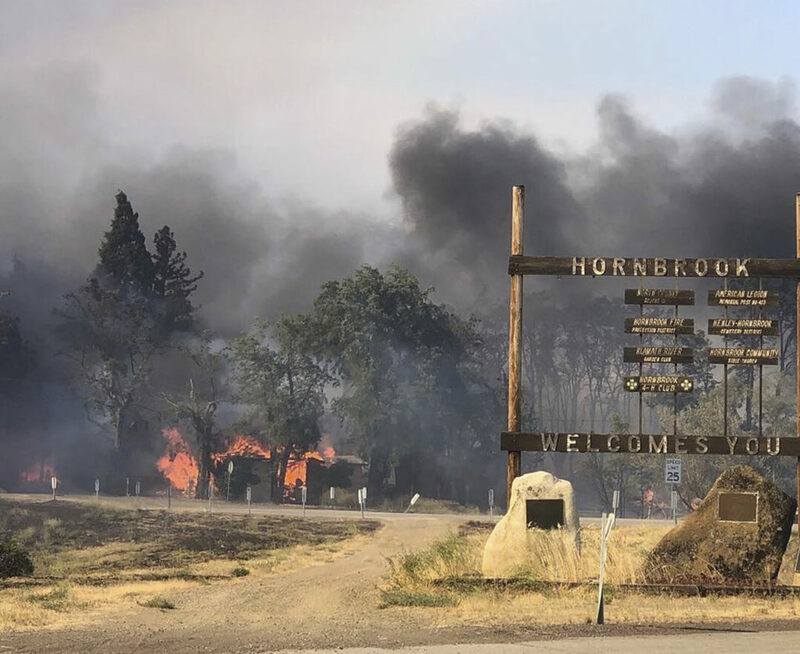 No other details were released about the death blamed on the fire that threatened 300 homes near Hornbook, a town of 250 people about 14 miles south of the Oregon border. In San Diego County, a fast-moving wildfire burned at least five homes and as many as a dozen in Alpine, according to journalists at the scene. It also offered relief in the southern Colorado mountains where a blaze has destroyed over 130 homes and forced the evacuation of at least 2,000 properties. The Spring Creek Fire became the third-largest in state history at 165 square miles (427 square kilometers). The fire spans about 75 square miles (193 square kilometers) near a popular fishing reservoir about 80 miles (130 kilometers) southeast of Salt Lake City, according to the Utah Division Forestry Fire State Lands.